I am so excited!! Wednesday I leave for New York City, Brooklyn actually, for my grandson, Kol's first birthday. Saturday he is having a big costume party to celebrate his birthday. My hope is that we don't all scare him at his party. I have been making some favors to take along for the party, and some decorations, and finally I made a birthday card. This will probably not be the first, last, and only Halloween type birthday card that I make for him. His birthday is the 28th, so I have a feeling that it will be a trend to celebrate with a Halloween theme. It sound like a lot of fun to me, since my birthday is the middle of May. I used the Googly Ghouls stamp set again, because I used it for a bunch of other party favors, so I am sticking with the theme. I tried to make it kind of light and whimsical, too. I think it's pretty appropriate for a baby's first birthday. I am going to enter it in a couple of challenges today, too. First, the layout is from Try Stampin' On Tuesday's Challenge #88. Then at Just Add Ink they requested that we Just Add Chevrons, so I put on some orange ones. 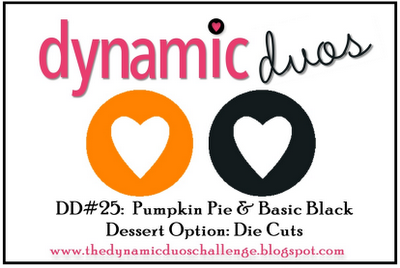 The colors, Pumpkin Pie and Basic Black are the challenge at Dynamic Duos#25. 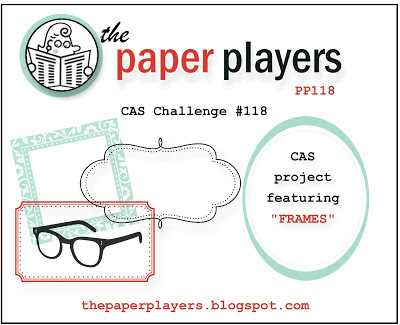 And, over at The Paper Players CAS Challenge #118, they asked that I use a Frame, so I put one around the mummy and another one around the greeting. Inside I added a couple more mummys, some more chevrons, and Celebrate from a retired set. It's sooo cute! I think that I put a lot of work into the card, and it was not much of a challenge when I had all these great ideas. I hope to get another blog out before I leave tomorrow, so stop on by and see what I've done. This is a very cute card for a special little boy! Enjoy your family time in NY. Thanks for playing along with us at Just Add Ink this week, Mary Alice. Mary Alice - this is such a super cute birthday card! Love how you framed your little mummy and I'm sure your grandson is going to love it! Thanks for joining us at Just Add Ink this week! I love your birthday mummy - his candle is so fun and works perfectly with the sentiment. So glad to see you at Dynamic Duos! cute card Mary Alice and love the candle in the Mummies hand. Thanks so much for playing along with us at JAI this week. Cute! Halloween and Birthdays are so fun, and so is this card. 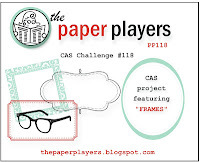 Glad you joined us at the Paper Players! Cute! 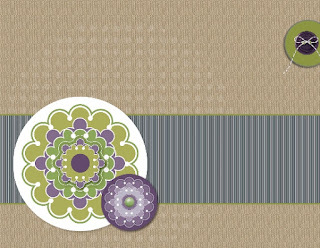 I love this little mummy and the orange chevron paper looks fantastic. Thanks for joining in with us at JAI this week.